Solid wood tone drum with 3 tongues produces warm and appealing rhythms. Playing it is easy and enjoyable. 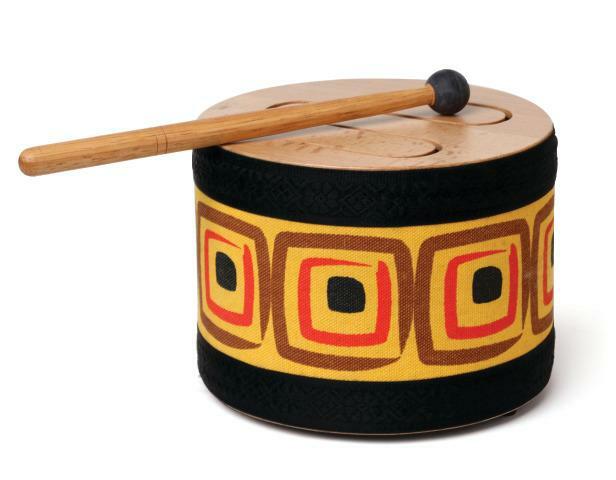 You can use the rubber mallet to lightly strike the tongues or play the drum with your fingers.